Choosing the right contractor is tough as everyone will tell you they are the best. 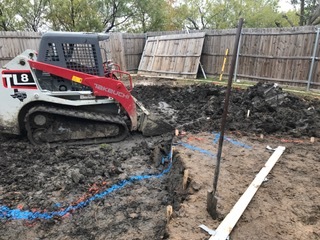 With MCS it’s easy to have a good comfort level as we not only perform new pool excavation for homeowners but also dig for many popular pool builders in the Dallas/Ft. Worth area on a regular basis. Surprised? Most pool builders subcontract to others like us as they are simply not equipped nor possess the experience and knowledge to do themselves. So rest assured if MCS is digging your pool your project is starting off on the right foot. 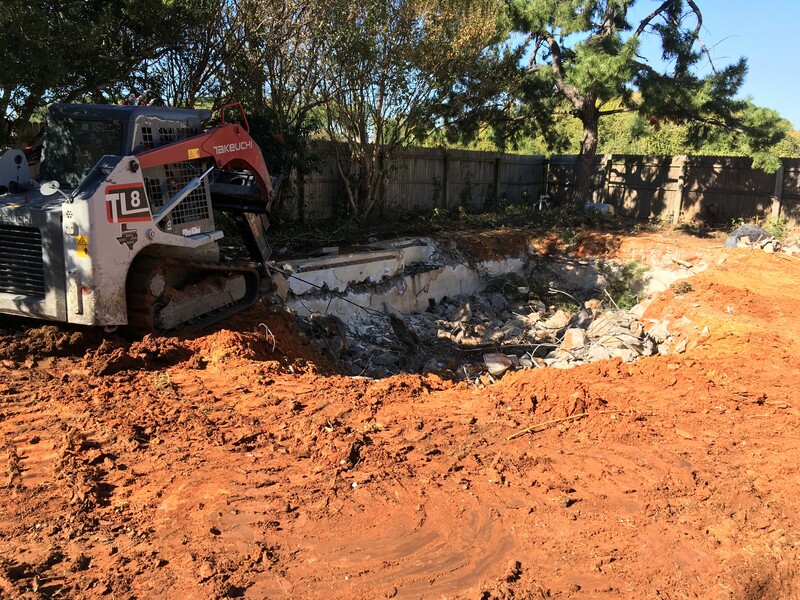 Swimming pool removal/demolition/tear out and excavation requires a specific set of skills to remove and leave your home in good order without leaving additional challenges to you the homeowner. Our years of experience in this field provide the comfort, trust and ability to handle many types of pool demolition situations. Our equipment, services, and experience will bring value to your project and home. Sometimes swimming pools and spas simply need to be removed to avoid safety hazards and liabilities for the property owners. Medallion Construction Services understands this and that’s why we offer these services at affordable rates that make sense compared to repairing structure cracks and fully remodeling old swimming pools.